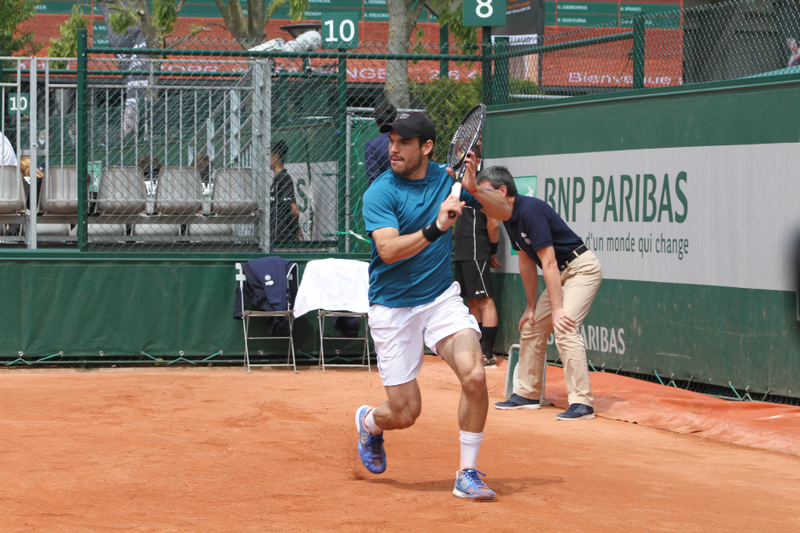 Today is the third day of the qualifying events, and my first day at Roland Garros this year! 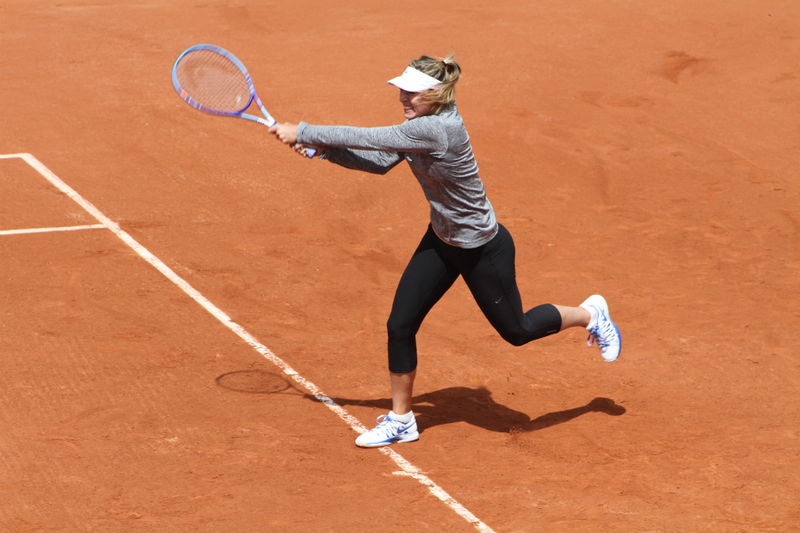 I'll be here until Monday and I'll come back later in the tournament for the women's semifinals and final. 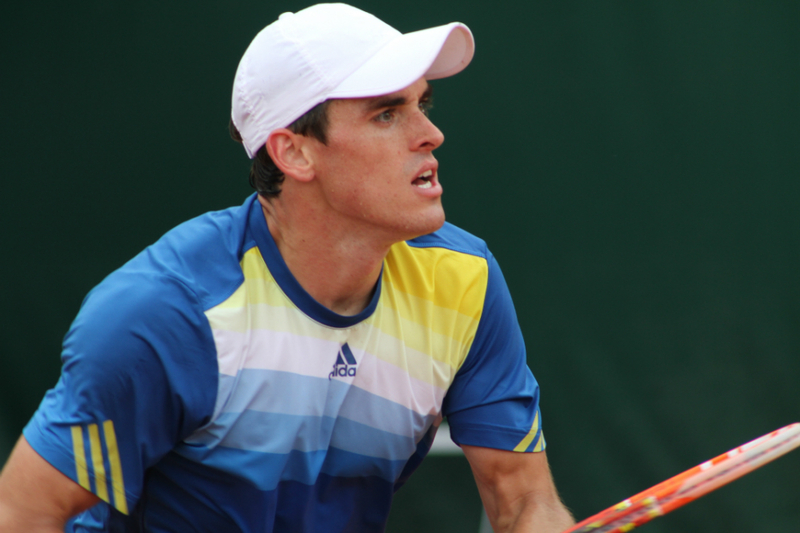 Hard-working journeymen, injured players working their way back to the Top 100 or young guns looking to establish themselves on the circuit, they're all fighting for a ticket into the main draw. 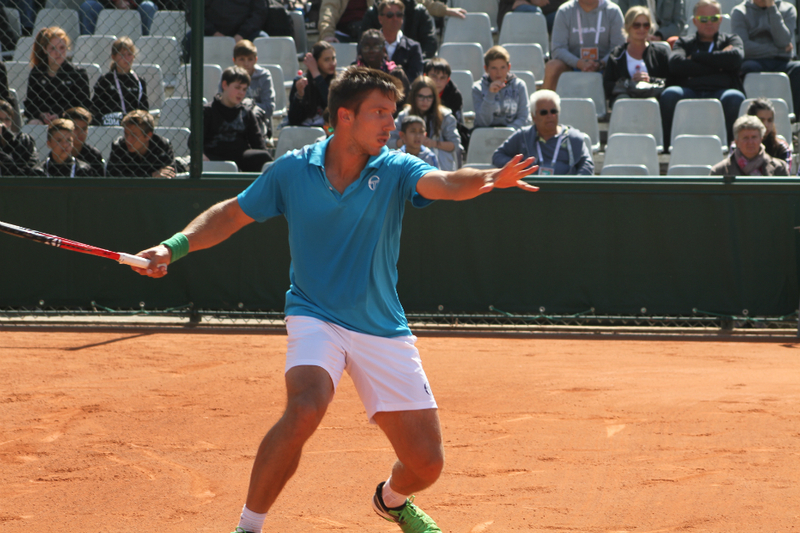 Last year's main attractions were Australian and US Open junior champion Ana Konjuh, and Australian hope Thanasi Kokkinakis. 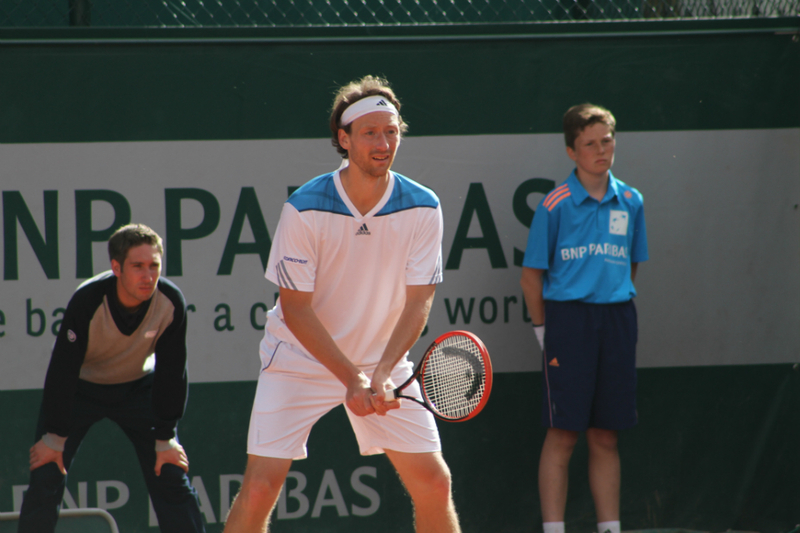 Two sons of former top players were also playing in the qualifyings, Emilio Gomez, son of Andres Gomez who lifted the trophy here back in 1990, and Miloslav Mecir Jr, son of one of the best players never to win a Slam, Miloslav Mecir. 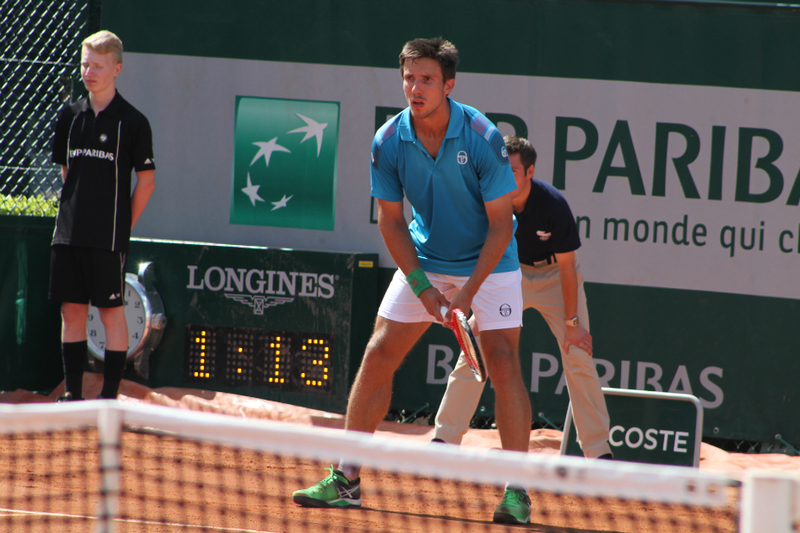 Below, pictures of James McGee, Miloslav Mecir Jr and Thanasi Kokkinakis. But enough with last year, and back to this year! 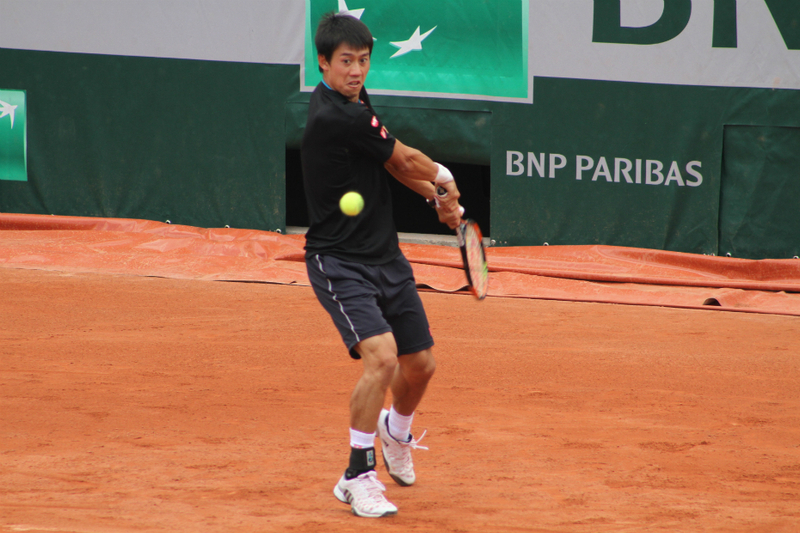 The player to watch was arguably young South Korean Hyeon Chung, ranked 69. 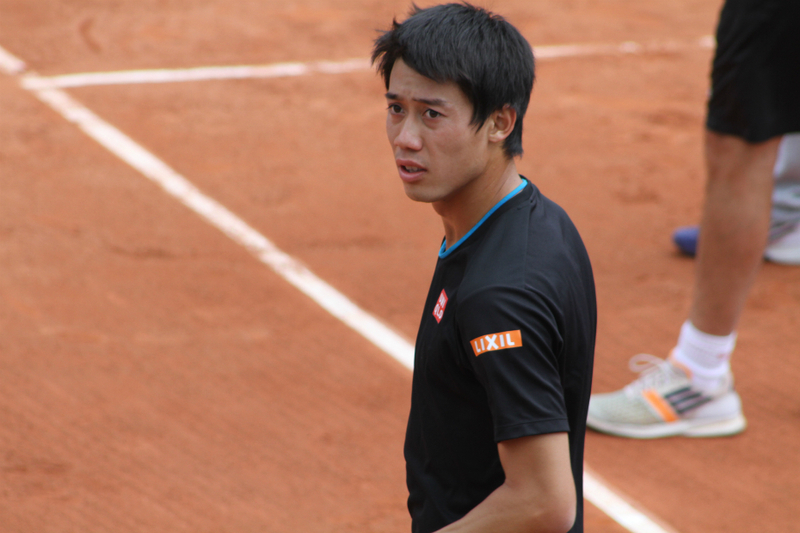 Chung is part of a group of rising stars including Nick Kyrgios, Borna Coric and Thanasi Kokkinakis but he is lesser known as he plays mainly on the Challengers circuit. 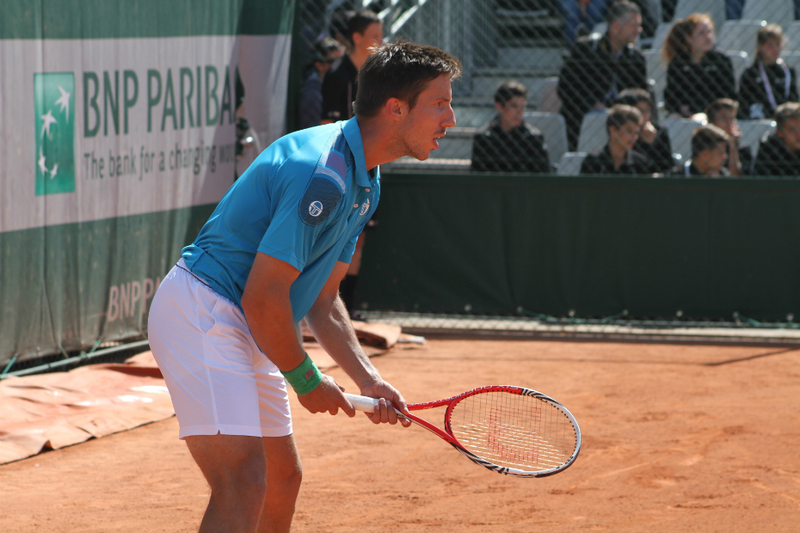 He qualified for the Miami Masters and beat Granollers in the first round before falling to Berdych in straight sets. 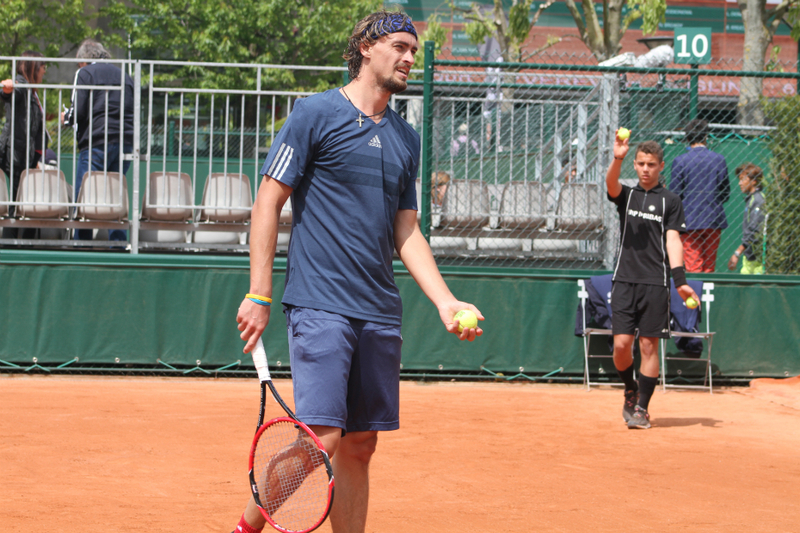 Unfortunately he got beaten pretty badly 0-6 1-6 in the first round by Jared Donaldson. 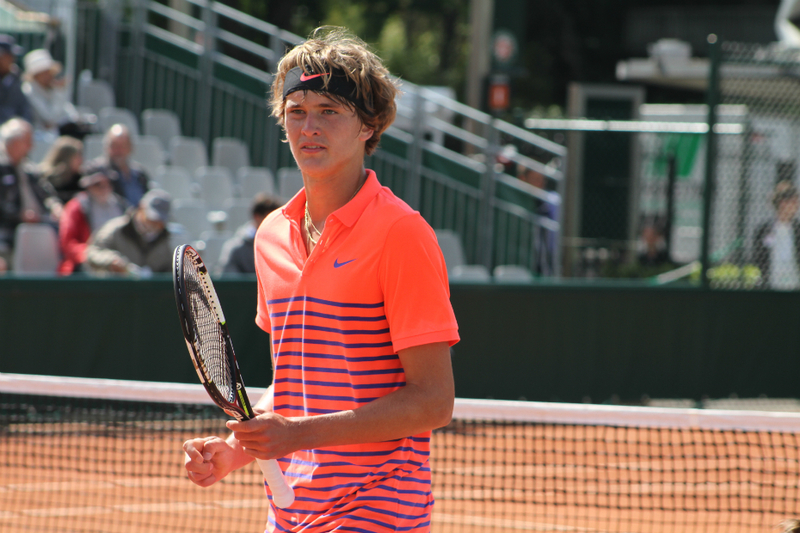 Also on my list of players to watch: Alexander Zverev, Elias Ymer and Yoshihito Nishioka. 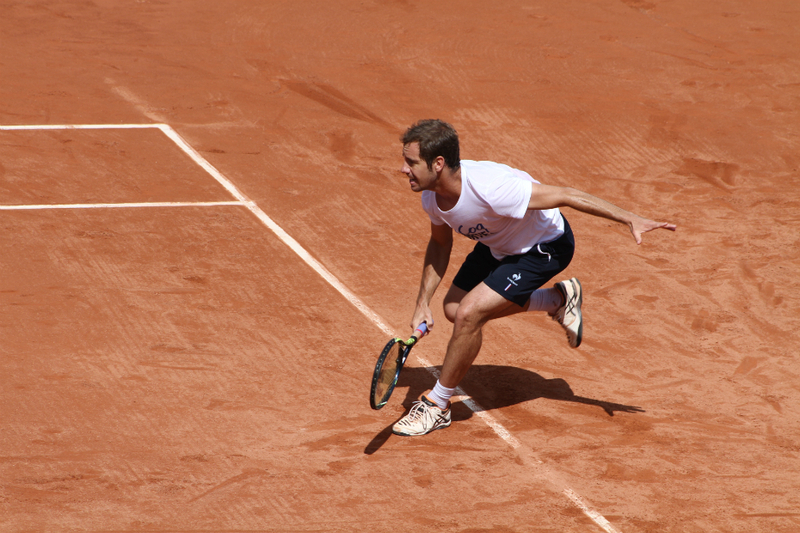 The best result by a qualifier at Roland Garros occurred in 1997 when Filip Dewulf advanced to the semifinals before losing to eventual champion Gustavo Kuerten. 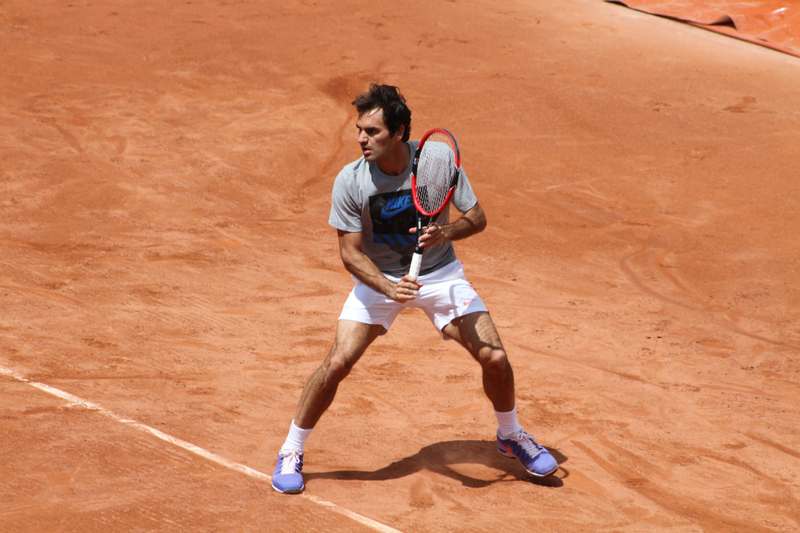 Ranked 122nd as the tournament began, he went on to win eight straight matches, with victories over Alex Corretja and Magnus Norman. 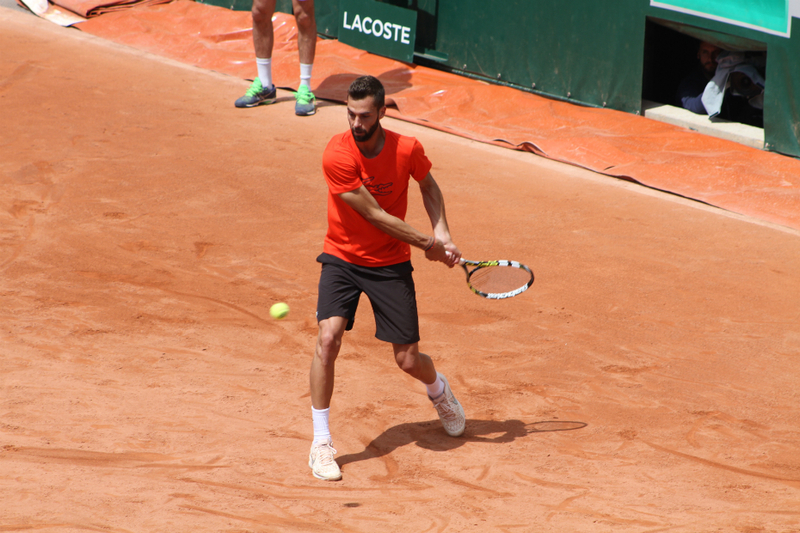 Dewulf would also reach the quarter-finals the following year, falling this time to eventual runner-up Alex Corretja in straight sets. 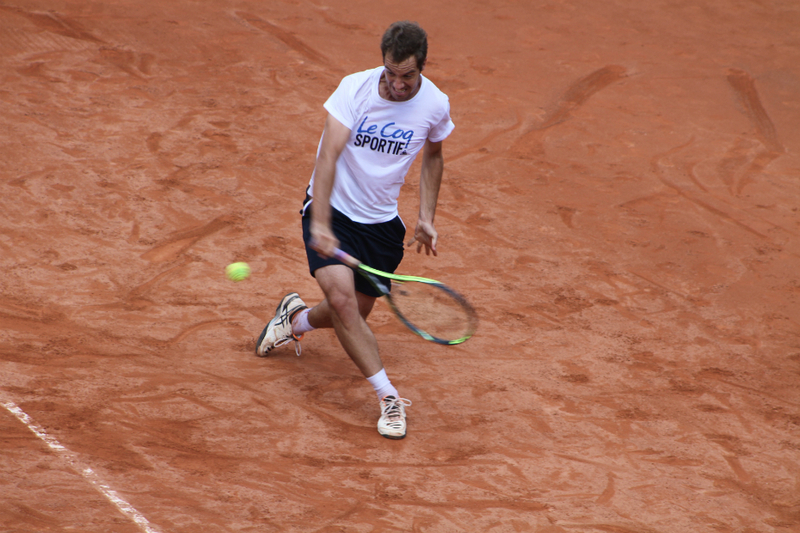 I spent most of the afternoon watching players practicing (more on that below), but I still managed to get a glimpse at a few matches, and watch Alexander Zverev match against Igor Sijsling. Zverev and Ymer, 2 players part of my to-watch list, were playing at the same time on court 6 and 8. 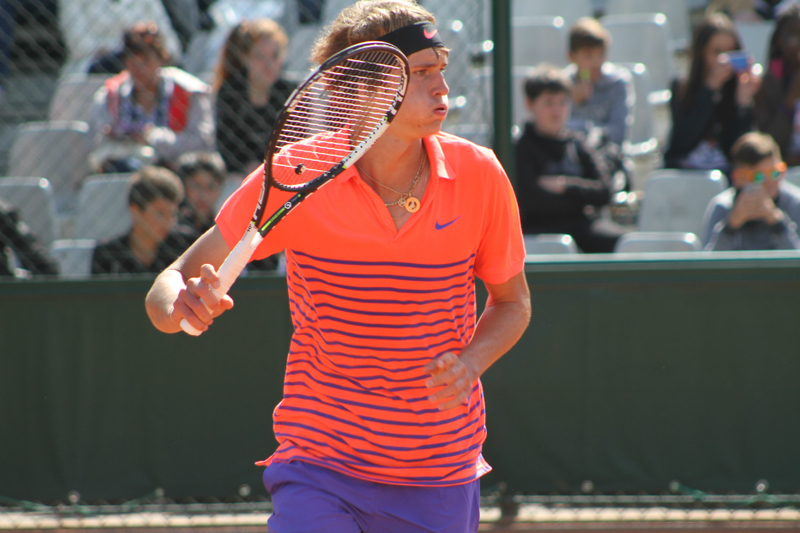 I chose to watch Zverev, who is seen by many as a future great. 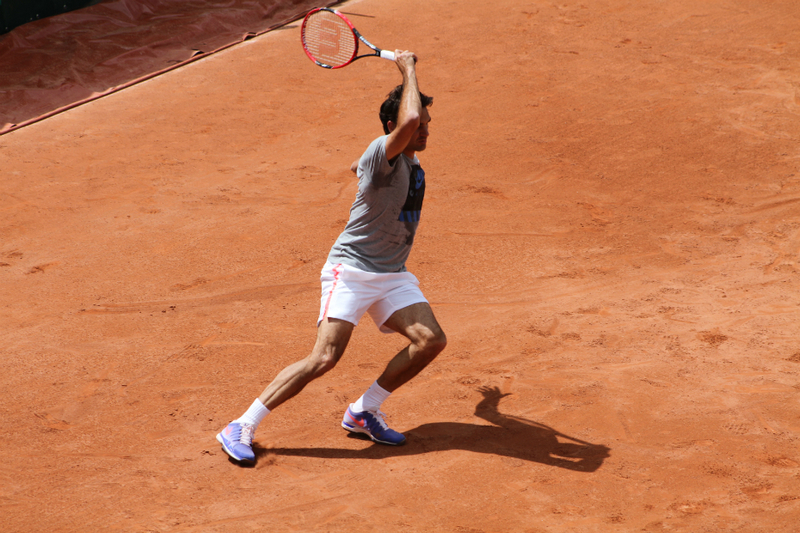 Big serve, big forehand but I found him annoying with his constant complaining. As for Ymer, he dispatched Blaz Rola 6-2 6-3. His next opponent is Roberto Caballes Baena. Lots of Belgian fans on court 8 to support their countryman Germain Gigounon. Led by one set to all, Gigounon rallied to qualify for the thrid round. 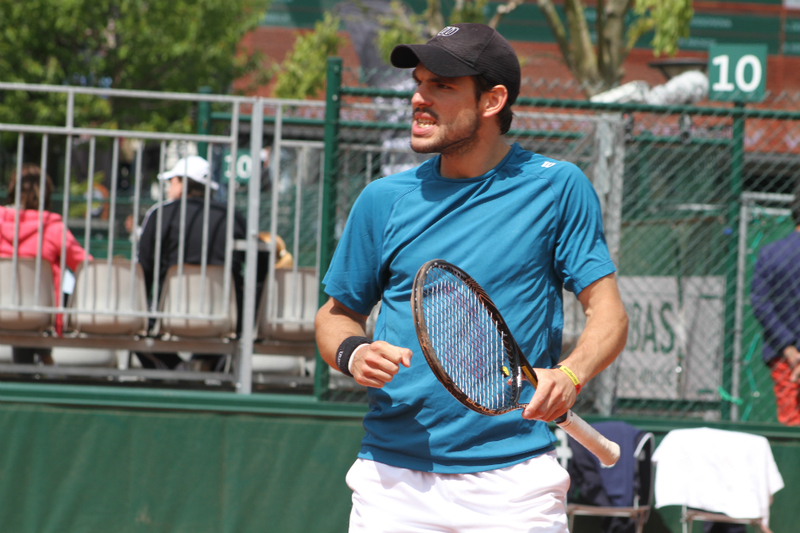 He'll face Alejandro Falla for a ticket to the main draw. There are plenty of feel good stories during the qualifyings, but also some sad ones. 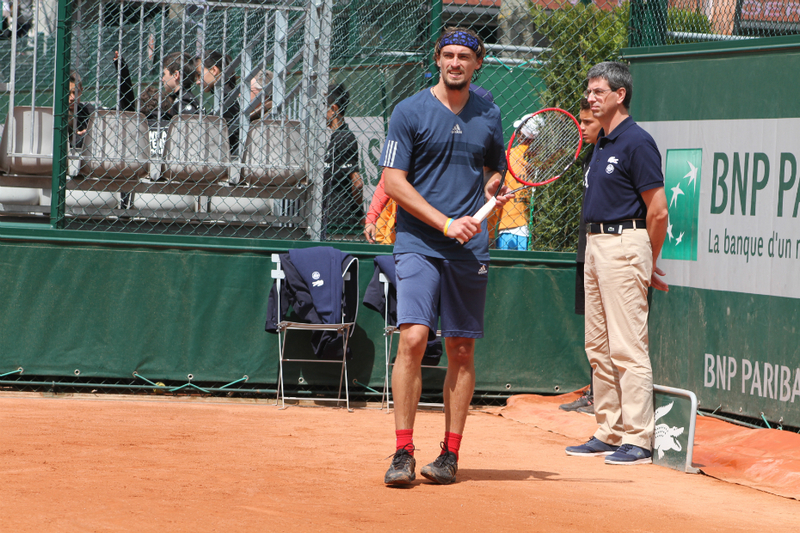 In 2010, Gaston Gaudio, who won one of the most memorable Roland Garros final against rival Guillermo Coria in 2004, lost to Thiago Alves in the second round of the qualifiers, in front of just a handful of spectators It would be Gaudio's last appearance at Roland Garros. 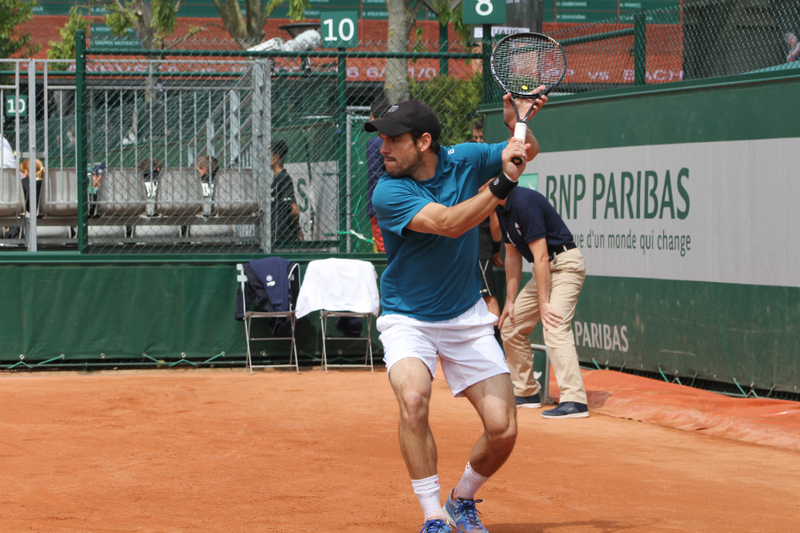 During the qualifying rounds, the court Suzanne Lenglen is open to the public, who can watch top players practicing. 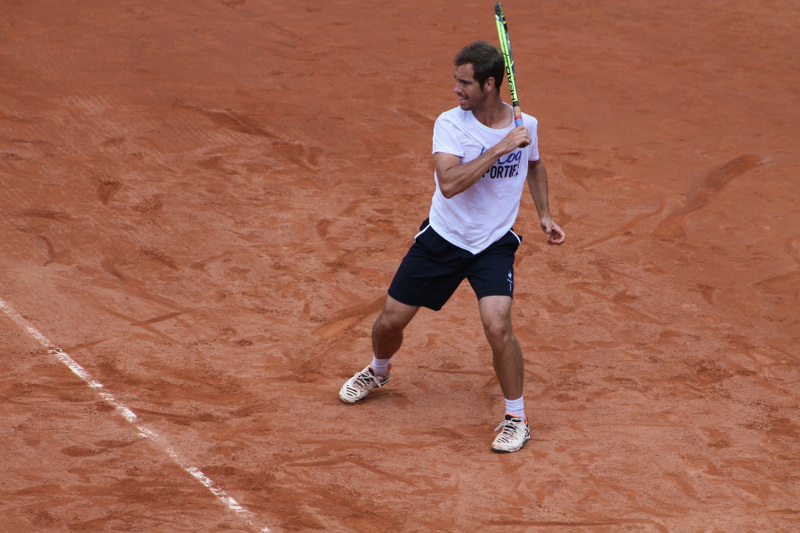 I watched Richard Gasquet, Maria Sharapova, Roger Federer, Kei Nishikori and Victoria Azarenka this afternoon. Here are a few pictures, I'll post more in separate posts. 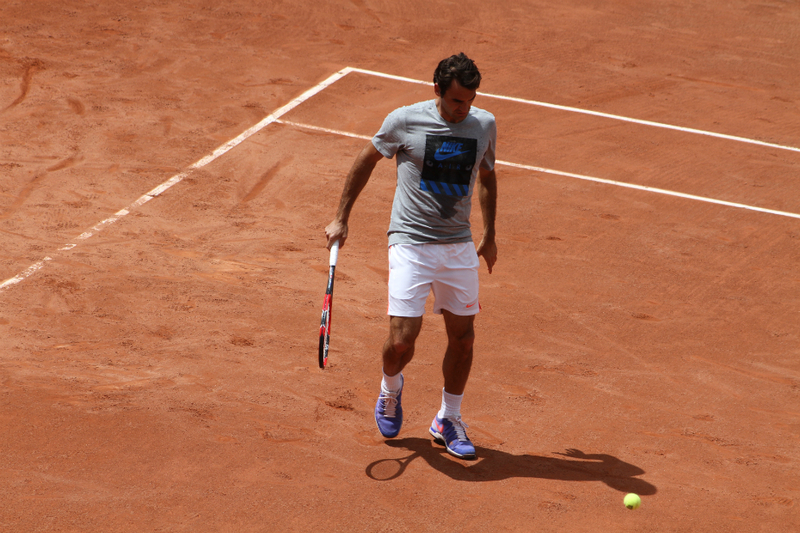 He practiced with coach Sergi Bruguera and a player I did not recognized. 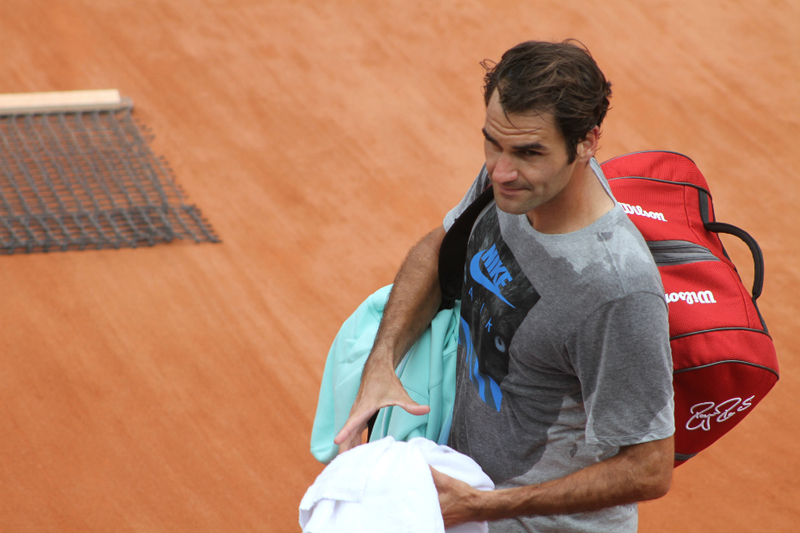 He seemed really frustrated by his game, always on the back foot, not at ease at all. Next, Maria Sharapova with coach Sven Groeneveld and not one but two sparring partners. A really intense practice session. 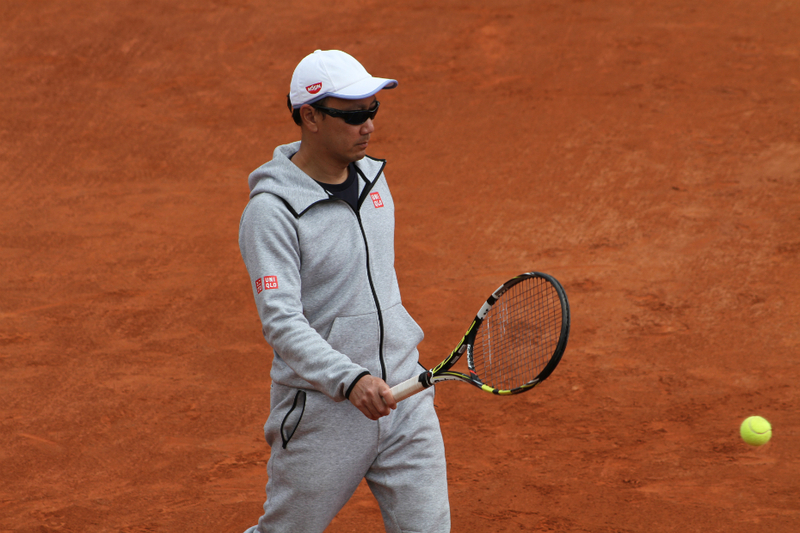 After all these years I finally managed to see my alltime favorite player. 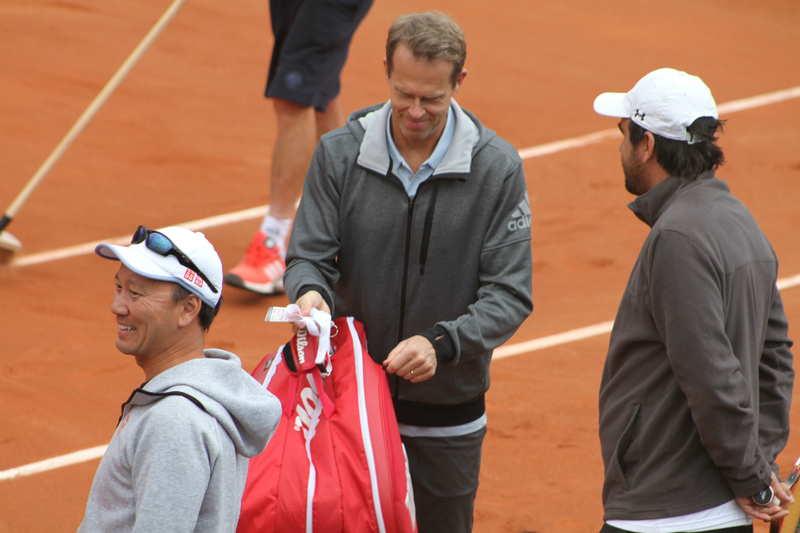 No I'm not talking about Roger Federer, but Stefan Edberg! 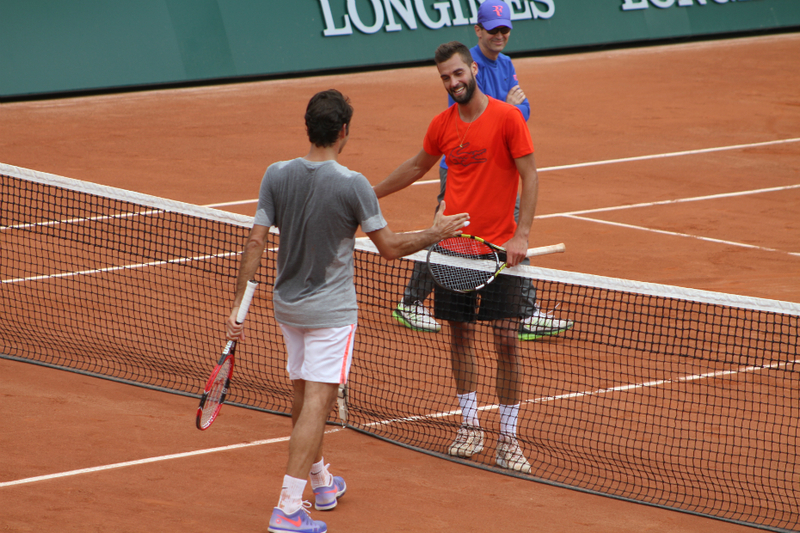 The 6-time Grand Slam champion was all smile this afternoon as he served as a ballboy during Roger Federer's training match against Benoit Paire. 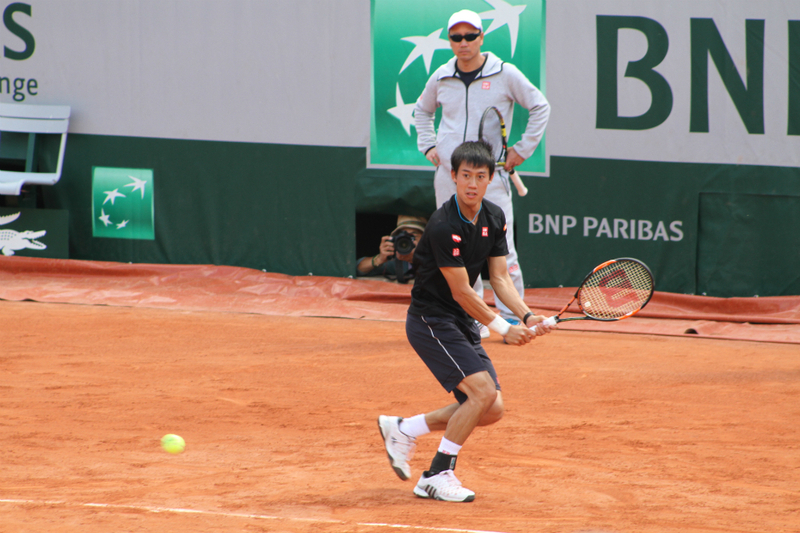 And it was Kei Nishikori's turn to practice with coach Michael Chang, winner here in 1989 against... Stefan Edberg. And a few pictures of Victoria Azarenka. 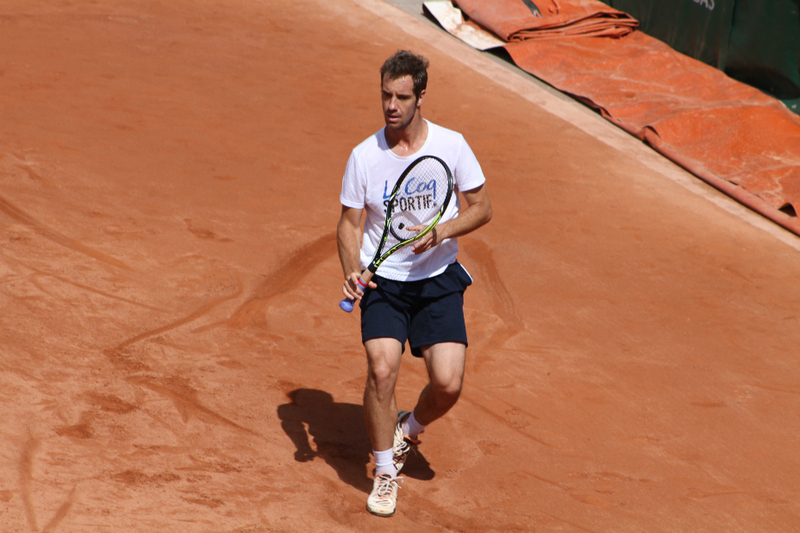 I'll be back in Roland Garros tomorrow and I'll try to keep you updated via Instagram.